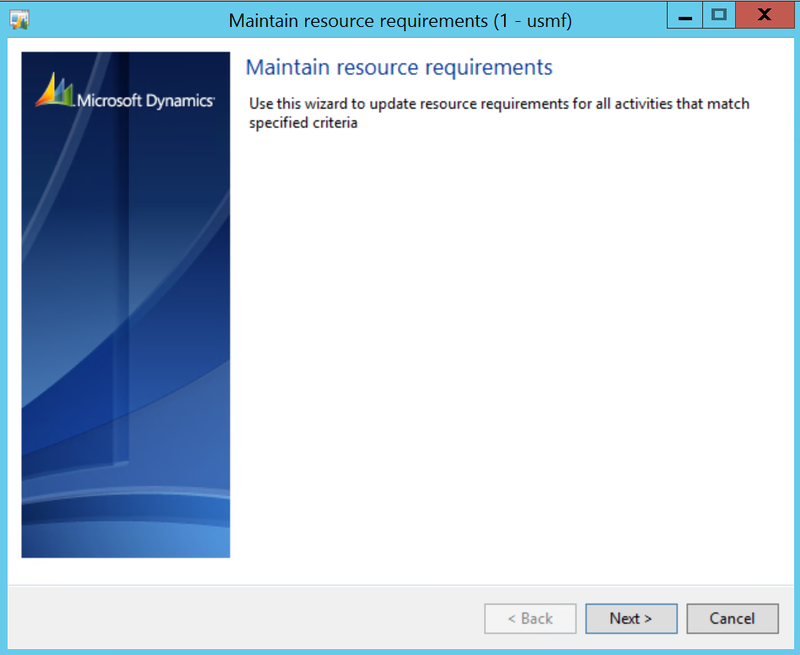 There is a great wizard/feature to do mass update to resource requirements on route operations in Microsoft Dynamics AX 2012. This is a great way to get from static resource planning (resource group or resource) to dynamic resource planning (capability, skill, certificate, title and so on) or to maintain and extend your static or dynamic resource model. 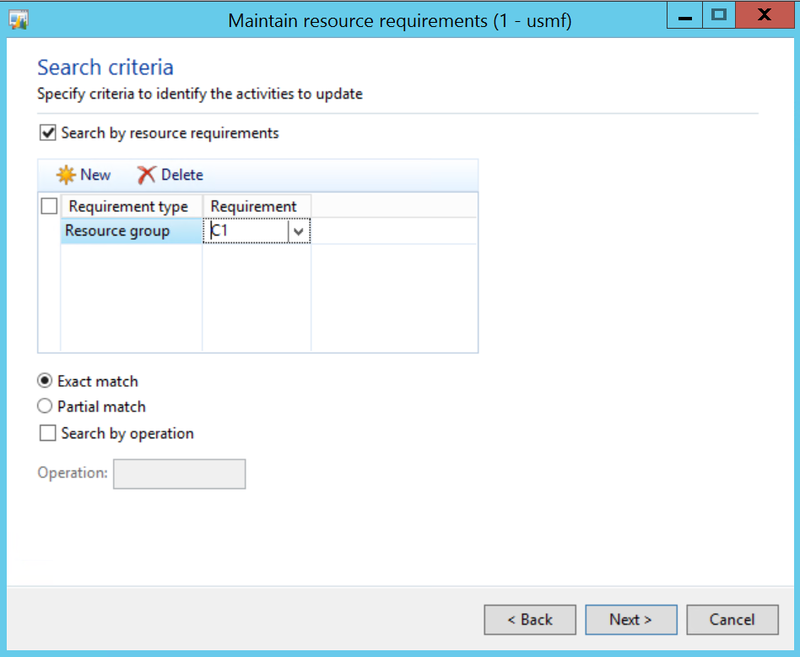 For instance if you want to change a single resource in a static model to a new resource or if you want to replace a resource or resource group with a set of capabilities. It is the replacement scenario I will try to show you. 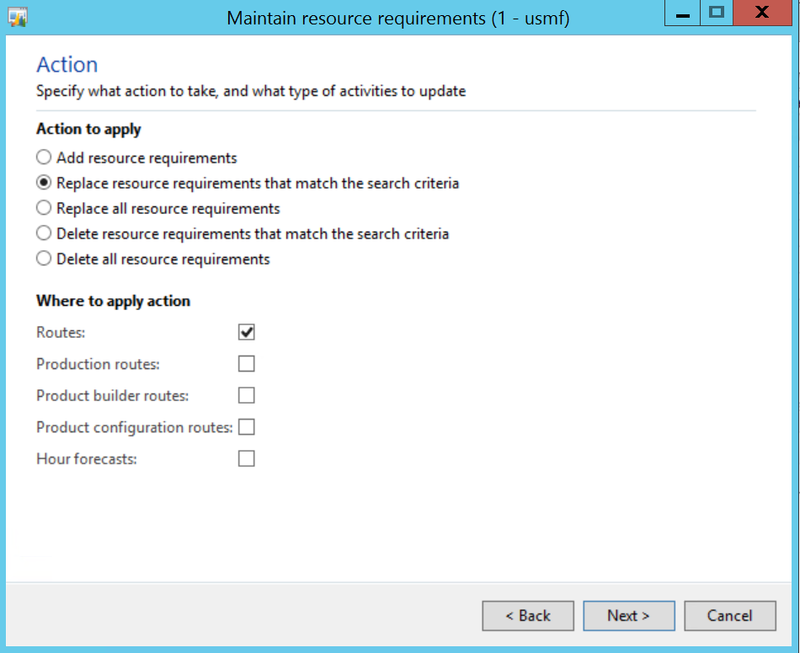 In any of the route forms you will find the “Update resource requirements” on the action menu. 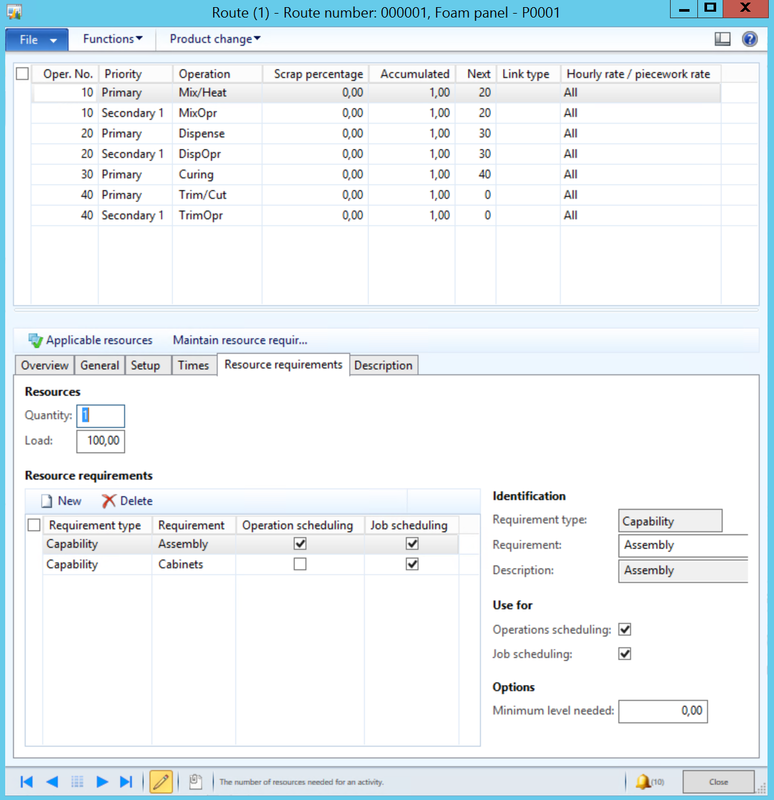 Say you have a resource group that you want to replace with a set of capabilities. 1. Launch the wizard by clicking the menu item. Notice the route has now route group “C1” as a requirement. 3. Select the set of requirements you want to change. Note that you can do and exact match or a partial match and be able to only select a single operation if you need to. 4. Select the action you want to be performed for the matches found. 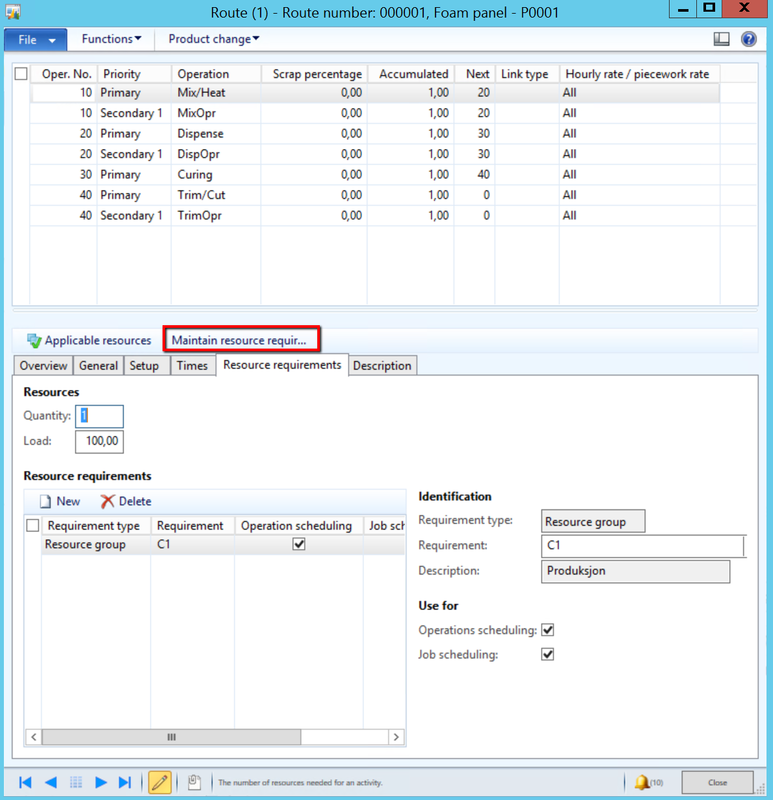 You can do a number of different operations like replace or delete either for only the matched or all requirements on an operations. The scope of the application of the action on what to update is also a very nice feature. You can even update production routes, product builder/configuration routes or hour forecast for projects! Great! Notice the number of actions that is to perform. That is the scope of the matched records that will be altered. 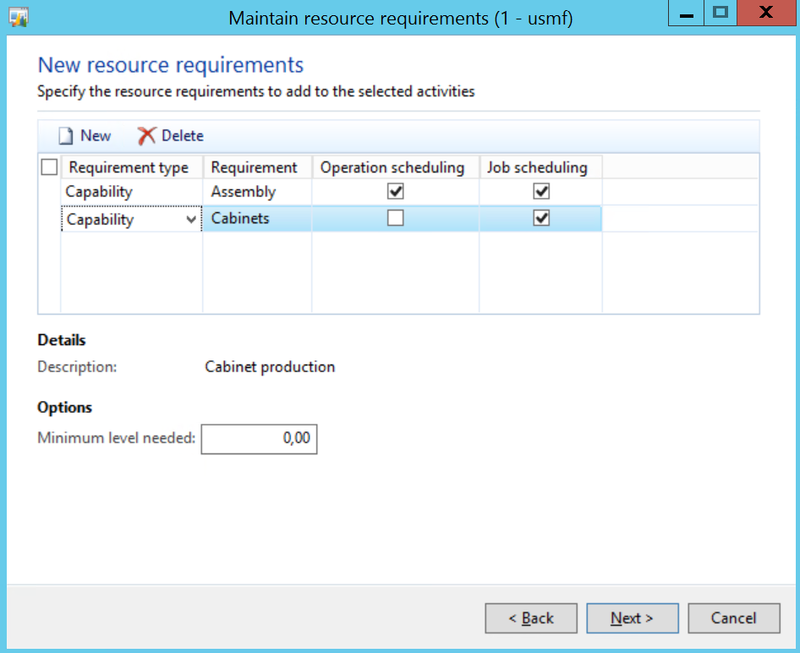 You can see that the requirement for resource group “C1” is now replaced with a set of capability requirements. 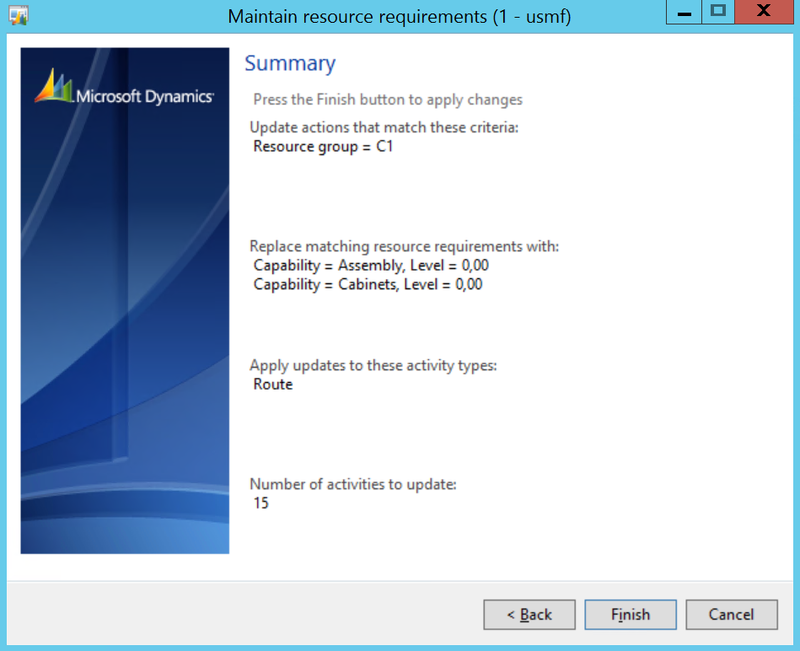 So if you want to replace, update, delete or alter any type of resource requirements any place in the solution you can use this tool. I think this is pretty awesome. Have fun!